The leading independent specialist for windscreen replacement and windscreen repair based in Dorchester and serving all of the Dorchester area. National Windscreens Dorchester fitting centre provides windscreen replacement and windscreen repair services to businesses and individuals throughout Dorchester and the Dorchester area. 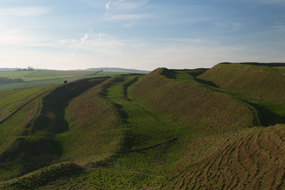 Dorchester lies in the picturesque Frome Valley, south of the Dorset Downs. The River Frome runs through the traditional market town which is situated in the county of Dorset. Located to the west of Bournemouth, north of Weymouth and south of Yeovil, Dorchester is easily accessible from the A35 and A37. The town is extremely popular with tourists, particularly during the summer months when it welcomes a significant number of visitors keen to enjoy the many shops and cafes that can be found in this beautiful location. The Dorchester windscreen fitting centre and its mobile vehicle glass technicians service the needs of Dorchester and the surrounding area including Weymouth, Bridport, Swanage and Wareham. With 108 fitting centres and over 800 mobile technicians, National Windscreens operates the UK's largest windscreen repair and windscreen replacement network. The company provides low cost, high quality windscreen replacement and windscreen repair from its Dorchester fitting centre 24 hours a day, 7 days a week, 365 days a year. Repair and replacement of all types of vehicle glass including windscreens, rear windows and side windows is undertaken throughout Dorchester and all of the Dorchester area.